The family of forest employee who was killed on August 23, has rejected the claims of police that their son was killed by militants, the Jammat e Islami stated. The slain, Tariq Malik, 38, son of Sonnaullah Malik, resident of Zandpal Kunzar, was shot dead in while performing his prayers at his home. “In the past he had been picked up by the government forces a number of times and subjected to severe torture despite being innocent. He had established a religious seminary for teaching moral and religious values and also used to provide all possible help to the economically downtrodden people. For these pious activities all the people of the locality and surrounding areas love and respect him from the core of their hearts. Everybody is deeply mourning his departure from this mortal world at a time they needed his presence,” reads the statement. Jamaat e Islami has strongly condemned the killing of Tariq Ahmad and has demanded for impartial enquiry in the gruesome murder. 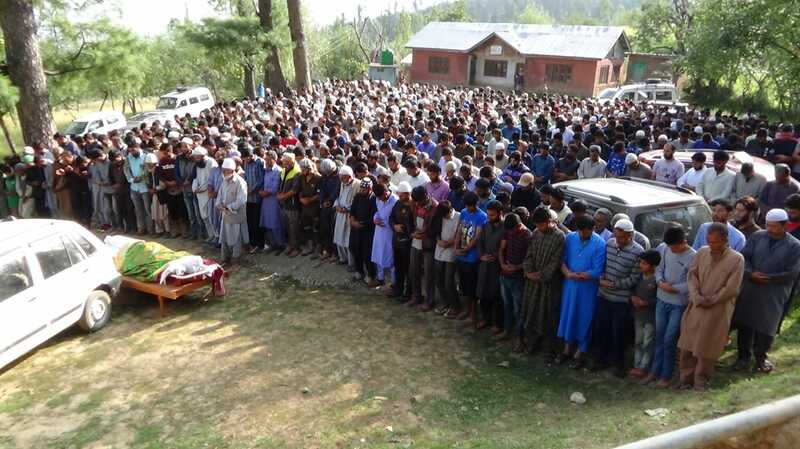 Meanwhile after the police claimed the slain was killed by Let militant group, the militant outfit has come up with a statement saying, “Tariq Ahmad was killed by police. The propaganda against the freedom fighters that they have murdered the man is nothing other than trash,” LeT spokesperson, Dr Abdullah Ghaznawi quoted the outfit chief, Mahmood Shah as saying in a statement issued to a local news agency, GNS.